Blackie O’Connell & Cyril O’Donoghue. THE TRAD lunchtime concerts have been a feature of the Galway International Arts Festival for more than 20 years, and this year boasts a superb line-up playing Monroe's Live - especially appealing for those who love trad fiddle - and it all kicks off on Thursday. The opening show is from piper Blackie O’Connell and singer/guitarist/bouzouki player Cyril O’Donoghue on Thursday July 16. O'Connell is regarded as one of the most exciting uilleann pipers in trad. He has worked with Hugh Healy on the album We Were Drinking and Kissing the Ladies and is a regular at the Na Piobairi Uileann and William Kennedy piping festivals. O’Donoghue has worked with Tola Crusty and Alan Kelly, and toured Europe, the US, and Asia. He is a member of trad supergroup Providence. The next show is on Friday 17 with Dermot Byrne, Floriane Blacke, and Brendan O’Regan. Accordionist Dermot was TG4’s Traditional Musician of the Year 2013. As well as his mastery of the Donegal style, he is also at ease with French musette and South American choro. He was a member of Altan, and has worked with Sharon Shannon, Frankie Gavin, The Stunning, and Stephane Grappelli. Parisian Floriane Blancke is a harpist, fiddler, pianist, and vocalist. The grand-daughter of jazz musician Stanislas Suranyi, her music has been influenced by this native Hungarian Gypsy style, and by her grandmother Marthe Blancke, a classical French violonist. Brendan O’Regan is admired for his abilities on bouzouki, mandolin, and guitar, and has been a member of De Dannann and the Dolores Keane Band. He has worked with Mairtín O’Connor, Sharon Shannon, Mary Black, Matt Molloy, Vinnie Kilduff, Townes Van Zandt, and The Waterboys. There is more to look forward to for fiddle enthusiasts with Connemara greats Liz and Yvonne Kane (pictured above ), Donegal's Brid Harper, and Clare's Jack Talty. Brid Harper, with multi-instrumentalist PJ McDonald, is on Saturday July 18. Harper is respected both as a teacher and as a performer and is credited as an influence by many trad fiddlers. She is also a former Senior All-Ireland champion and Fiddler of Dooney winner. Tyrone man McDonald is admired for his style of whistle playing, learned from his late father, Hugh Pat McDonald. He has worked with Arty McGlynn, Mairtín O’Connor, Cathal Hayden, and Seamie O’Dowd. Letterfrack's Kane sisters first came to prominence when they toured with Sharon Shannon as members of her band, and later featuring on Sharon’s album, The Diamond Mountain Sessions. After this, they struck out on their own as a duo, recording the albums The Well Tempered Bow and Under the Diamond, and touring across Ireland and the US to popular critical acclaim. They will be joined by bouzouki and fiddle player Mick Conneely. On Saturday July 25 it is the turn of Jack Talty and guitarist John Blake to take to the stage. Talty is a composer, producer, and educator from Lissycasey, Clare, who has performed throughout Europe, the US, and Australia. He is also the driving force behind the award-winning band, Ensemble Eriu. He has also worked with Tommy Peoples, Martin Hayes, Frankie Gavin, Noel Hill, Mairtín Ó Connor, and Liam Ó Maonlaí. London-born Blake is a former member of trad group Téada, and is much in demand for recording projects. 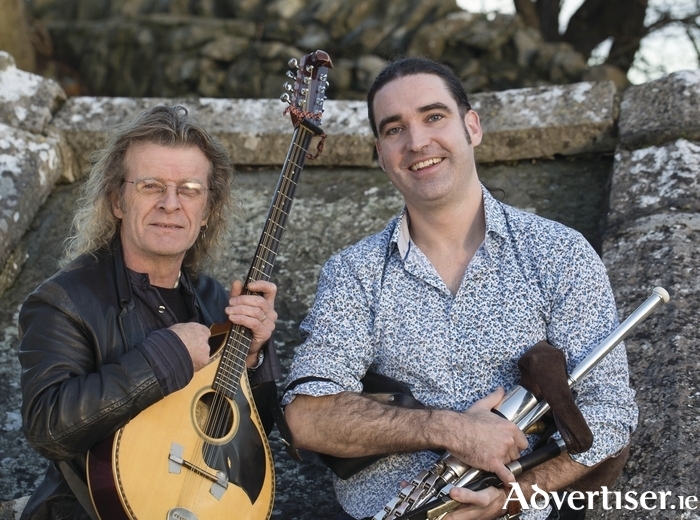 Inbetween there will be a change of pace, with the emphasis on folksong, when Passage West - John Faulkner, Tony Trundle, and Paul Mulligan - play on Friday July 24. They originally came together for RTÉs Seascapes to celebrate the Cruinniu Na mBaid in Kinvara. Since then, they have toured widely, preforming traditional songs, a cappella shanties, and instrumental music drawn from maritime heritage, as well as original music. John Faulkner has worked with Ewan McColl and Peggy Seeger; was involved in the classic children's show Bagpuss; and recorded and toured with Dolores Keane, Arty McGlynn, Nollaig Casey, and De Dannan. Paul Mulligan has worked with Paul Brady, Maura O'Connell, and Charlie McGettigan and John Prine; while Tony Trundle is a songwriter from Newry.